Home World Affairs Sri Lanka: Matara-Beliatta railway service launched on Monday. Sri Lanka: Matara-Beliatta railway service launched on Monday. 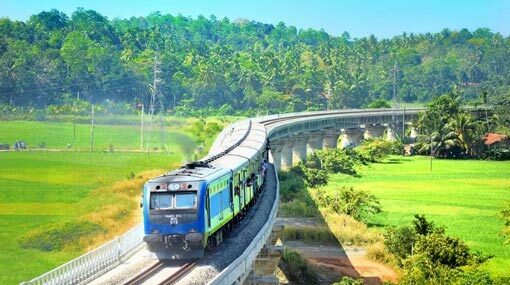 The railway line from Matara to Beliatta in Sri Lanka was launched by Minister of Transports and Civil Aviation Arjuna Ranatunga on Monday. The rail line project was carried out by the Chinese company and funded by the Chinese bank. At the national ceremony held under the theme &lsquo;Dakunu Lakata Aluth Magak&rsquo; (New Road to Southern Sri Lanka), the first train will start off the journey on the new track at 0900 hrs. Previous articleIsrael: Voting begins to elect new parliament.